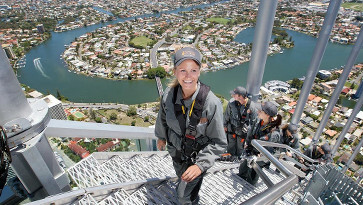 This unique Gold Coast gift for a climb atop the world's largest residential building - the Q1 - will allow participants to walk above the glass crown which frames the top of this architectural marvel and experience the Skypoint Climb! The journey will reach a height of 270 metres above sea level as climbers enjoy the security of an internal handrail that guides climbers up to the massive spire, while the more daring may walk along the edge of the building and experience the thrill of a 270m sheer drop. Close to 140 stairs will guide climbers up to the summit where they may take an extended pause to experience the stunning 360 degree views that stretch from the Gold Coast's glowing golden beaches, to the city skyline, and out to the greenery of the lush Gold Coast Hinterland to the west. For the chance to experience this visually incredible region like never before, buy a gift voucher for the Gold Coast's Q1 Skypoint Climb today! 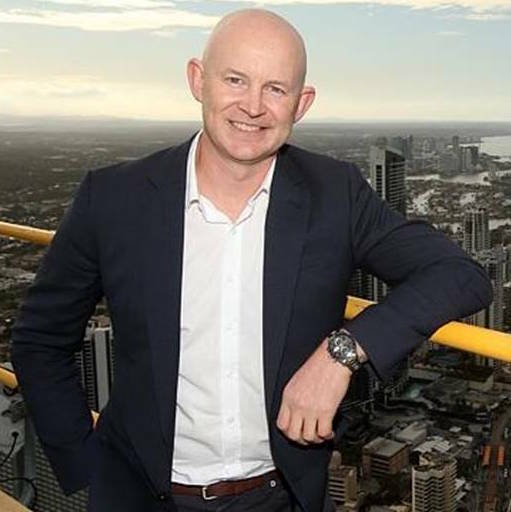 This gift voucher for the Gold Coast's Skypoint Climb atop the Q1 - the world's tallest residential building - will take visitors 270m above sea level. 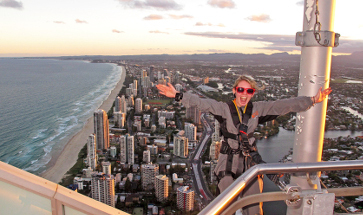 As the day turns to dusk, climb atop the Gold Coast's towering Q1 for wonderful early evening views with a gift voucher for this twilight SkyPoint Climb. "Offering stunning 360 degree views of the entire Gold Coast, from the surf to the hinterland and beyond, SkyPoint Climb is Australia's highest external building climb. Spend 90 minutes climbing 298 stairs, showcasing mesmerising views the whole journey"